Yesterday the 20th IFPI Hong Kong Top Sales Music Awards was held. 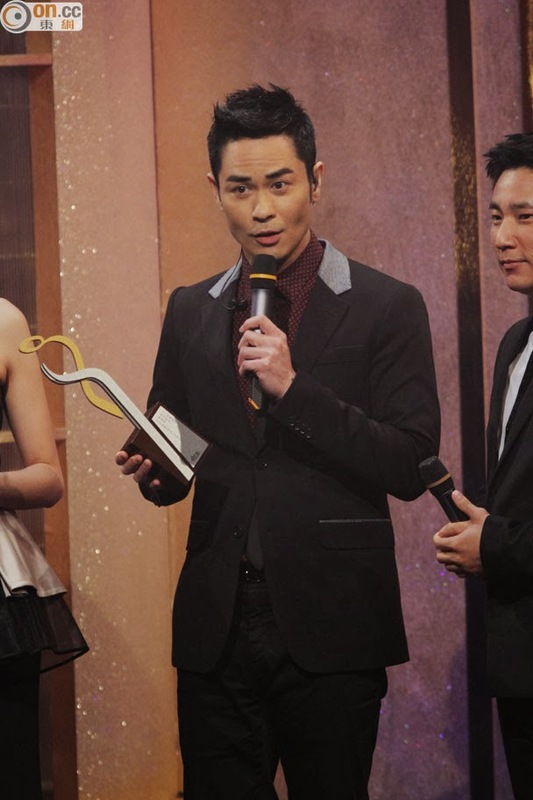 Kevin Cheng, Joey Yung, Alan Tam, Gillian Chung, Ivana Wong and many other singers attended. Kevin was awarded the 'Top 10 Best Selling Mandarin Albums' for his latest Mandarin album Its A Long Story (說來話長). It was reported due to schedule conflicts, Kevin was forced to turn down two Mainland dramas, so he could film TVB new series Sky Eyes in May and lost an estimated of HK$25 million. Kevin expressed: "The reporters are just concerned about the money, but actually I had a leg injury earlier and had to take time off." In the new TVB series, Kevin will be portraying a police officer, so its going to be difficult for him to avoid action scenes. Kevin said: "I don't want my right-knee injury to get even worse, so when I start filming that series, I hope to ask the producer if we could push back the action scenes until the very end." Kevin will be working with Ruco Chan and Tavia Yeung on this new series. Gillian Chung was also one of the winners of the 'Top 10 Best Selling Mandarin Albums' for her latest album "桐花". In regards to good friend Charlene Choi and Kenny Kwan watching the Northern Lights together, Ah Gil said: "I really wanted to go see it too, but I had to work. I already had a month off for New Years." It was rumored Ah Gil spent nearly a ten million on a new home. She expressed: "I'm not sure about my mother, I wasn't in HK. (You didn't have to sign the paperwork?) I don't handle that stuff. I did sign something, but I don't really handle it." Alan Tam was awarded, 'IFPI's Hong Kong Mainstream Cultural Singer Award'. He said: "It's my contributions from the past, nothing competitive." Asked if he had comforted Felix Wong (he's been having issues with his father), he said: "I've played ball with him lately, he's doing fine. I don't want to ask too much about his family matters, just asked his wife how he's doing. His wife said he's fine." Pop queen Joey Yung's hoarse voice seems to be getting worse. Alan said: "She's like a cocoon, too much damage, she really needs to rest."